Property 8: "Onawim" Lakefront Cabin! Cozy setting, private boat slip and swim platform. Property 19: Newly Renovated, Rustic Style Cabin! Property 22: "Good Company!" 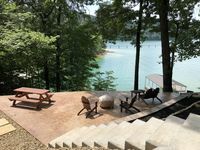 -Newly renovated 8br/4ba, lake front cabin in quiet cove!! Property 24: ❤️Valentine's Day Getaway ❤️Save $300! Property 25: 22' pontoon available for rent. Property 30: Cozy Lakefront Cabin in Quiet Cove w/Private Dock! Property 31: Rustic Briceville Cabin w/ Porch Tucked in Forest! 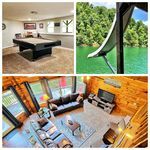 Property 40: The beautiful Sundance Lodge log home in peaceful cove. Paddle Board included!